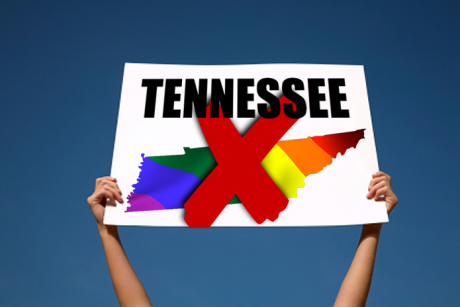 Tennessee — hardly a bastion of fairness and equality as it is — never seems to get tired of beating up on LGBT people. 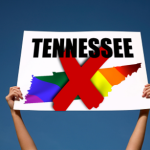 Yesterday, ThinkProgress reported on the latest outrage from the Volunteer State: Republican state legislators are circulating a resolution condemning Tennessee governor Bill Haslam — a member of their own party — because he chose not to fire a gay staffer. Seriously. According to ThinkProgress‘s Annie-Rose Strasser, the resolution has so far been signed by at least nine county Republican Party chapters. In addition to excoriating the governor for “[allowing] and [retaining] openly homosexuals [sic] to make policy decisions in the Department of Children’s Services,” Haslam is chastised for declining to support two far-right pieces of legislation. The resolutions also say Gov. Haslam “has elevated and/or afford [sic] preferential political status to Sharia adherents in Tennessee” by declining to end the employment of a Muslim woman. Strasser points out that Gov. Haslam did not hire the gay or Muslim staffers himself, but merely kept them in their jobs after a change in leadership. Tennessee seems hell-bent on turning itself into both a laughingstock and a national disgrace. The fact that so many of that state’s political leaders feel comfortable spouting such vile bigotry without so much as a hint of shame is nothing short of despicable.